When Peter Dean, chairman of the newly created Gambling Commission, joined the Gaming Board seven years ago, reform of the UK’s outdated gaming laws was “only a gleam in the eye”. 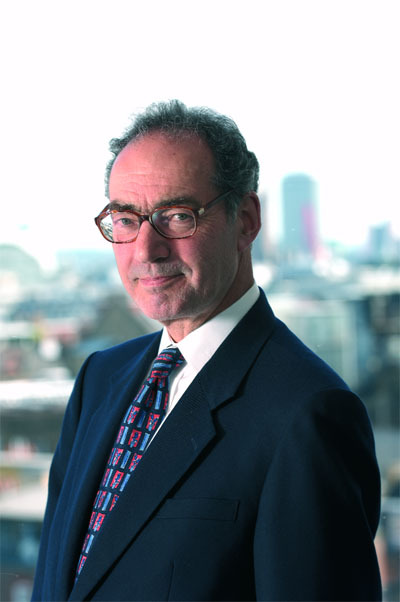 Dean admits that, although both he and his predecessor argued for law reform, even he was surprised when it received support from the government. Now, after years of debate and consultation, some fairly hysterical reactions to the new proposals, and a major climbdown on the issue of regional casinos, the Gambling Act 2005 is finally here. Dean is no stranger to UK law, having spent the first part of his career as a lawyer. He has retained a lawyer’s very precise way of speaking; his answers are carefully considered, and he consults old reports from his shelves of books in order to ensure the dates and information he gives are correct. We meet in the Gambling Commission’s offices in Holborn, which have something of a temporary feel, despite the fact the Gaming Board has been based there for many years. Perhaps it’s because the offices won’t be home to the organisation for much longer, once it moves to its new premises in Birmingham next year. The Gambling Act should be implemented by 2007, and the Gambling Commission will be fully operational by the end of that year, when it will gain its new powers to issue operating licences, to specify some of the conditions of the licences, and issue codes of practice. It will also have legal powers to monitor licence holders and levy fines or revoke licences, as well as investigating and prosecuting illegal gambling. Dean started his career as a lawyer, before moving into business, and spending 10 years as executive director of international mining company Rio Tinto Plc. From 1990 to 1997, he was deputy chairman of the Monopolies and Mergers Commission, and until 2001 he served as the Investment Ombudsman for the Investment Management Regulatory Organisation. In 1998, he joined the Gambling Board, with no prior professional interest in gambling. Joining the industry with no experience of gaming, at a time when it was on the verge of experiencing its biggest shake up for more than three decades must have been quite a challenge. Dean is no stranger to challenge though; during his time as executive director of Rio Tinto he had to fend off a multi billion dollar antitrust lawsuit, which threatened the viability of the whole company. Resolving the suit was no mean feat; it took several years and involved getting an Act of Parliament passed in the UK. It was no doubt this tenacity, determination and attention to detail that helped Dean secure the position with the Gaming Board, and he feels his varied background has been a real advantage. “It’s very rewarding seeing an accumulation of experience and using my skills – most obviously in law, business and public service but also in less obvious areas - in my current role,” he says. Dean’s experience dealing with challenges is likely to come in very handy over the coming months, when the Commission has to face the upheaval of moving to a new city, almost trebling its workforce, and having to replace the majority of its existing staff. The organisation will relocate from London to Birmingham next year, in accordance with the government’s policy that new public sector bodies should be located outside London and the South East, something Dean wasn’t initially too happy with. The move does present some real challenges though, particularly relating to staffing. The eight members who led the Gaming Board have become commissioners within the new organisation, but while the Gaming Board had between 70 and 80 members of staff, the Gaming Commission will need around 200 to deal with its wider responsibilities. However, because it’s moving to Birmingham, and “only a handful” of its existing staff are able to relocate, almost all of its workforce will have to be rehired. “It’s a real challenge dealing with recruitment, and the transfer of skills. Existing staff will overlap with the new staff for a time, in order to pass on their skills,” explains Dean. By the middle of next year, however, Dean hopes the organisation will be fully based in its new home in Birmingham. The most controversial part of the new gaming laws has been the issue of regional casinos, with some arguing their introduction to the UK market would act as a catalyst for regeneration of rundown areas, and others convinced they would result in an explosion in problem gambling. So what are Dean’s thoughts on the government’s climbdown from the original limit of eight new regional ‘supercasinos’, to just one, as allowed under the new Act. “There are serious issues to do with problem gambling, which should be debated and which require serious treatment, but the concentration of the debate on the matter of regional casinos has oversimplified the issue,” he says. Dean is quick to make clear, however, that it’s not the final Act itself he’s criticising. “I make no comment about the end result – it’s something which is perfectly capable of being regulated sensibly, which is what I’m concerned about,” he says. He does acknowledge the very real concerns of many about the social implications of deregulation, but is anxious that the scale of the problem shouldn’t be exaggerated. “A small proportion of people who gamble have a problem with it, and this can lead to utter misery and devastation,” he says. “It is not a trivial problem, and needs to be addressed. It also needs to be kept in proportion though. The establishment of the Commission is part of the government’s way of addressing the issue of problem gambling, along with many of the conditions set into the Act. So how does the Commission intend to fulfil its aim of protecting the vulnerable? “In formal terms, this will be dealt with by the licence conditions and codes of practice gaming operators will have to adhere to, which we will be consulting on very extensively next year,” explains Dean. “These will go into some detail about how to keep children out of gambling premises and what to do to protect those with a gambling problem. It will deal with the issue of how staff should be trained to deal with people who have problems. The issue of how much guidance operators will be given on matters such as providing advice for problem gamblers, and whether the type of advice will be stipulated, is still undecided. NEW CASINO LICENCES - WHAT HAPPENS NEXT? Under the Gambling Act 2005, the Gambling Commission will regulate all commercial gambling in Great Britain, apart from spread betting and the National Lottery. 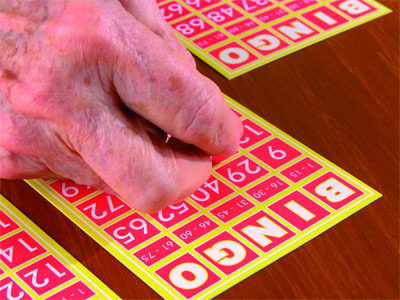 From 2007 this will include betting, as well as bingo, casinos, lotteries, pool betting and gaming machines. From 2007 the Gambling Commission will issue new operating licences to organisations and individuals who are providing facilities for gambling, and personal licences to certain individuals working in the gambling industry. The Commission specifies some of the conditions under which these licences are granted, and also issues codes of practice for the provision and management of gambling facilities. The organisation also has legal powers to monitor licence holders and can levy fines or revoke licences. It can investigate and prosecute illegal gambling under the Gambling Act. 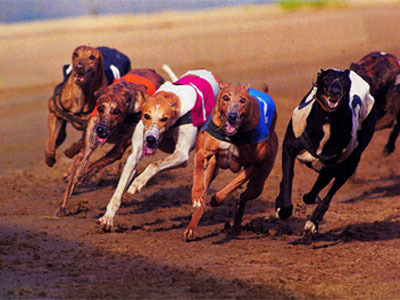 The Gambling Commission is the government’s principal advisory body for issues relating to gambling. At the beginning of October, gambling minister Richard Caborn announced the creation of the Casino Advisory Panel which will begin work today to decide where the 17 new casinos permitted under the Gambling Act will be situated. 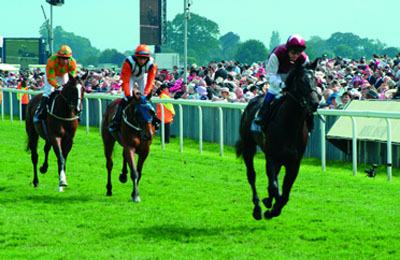 The panel was created as part of the Gambling Act 2005, which came into force on 1 October. The Act will also see the abolition of the 24 hour membership rule. The panel will initially invite expressions of interest from local authorities and then begin identifying the areas which could support either the one regional casino or any of the planned eight large and eight small casinos. Based on the panel’s findings, the list of chosen locations will be approved in a Parliamentary Order in early 2007, with the relevant local authorities then able to invite tenders for casino premises licences. The regional casino will offer a minimum of 5,000sq m (54,000sq ft), large casinos a minimum of 1,500sq m (16,000sq ft) and small casinos a minimum of 750sq m (8,000sq ft), with differing jackpot prize levels available at each. As the world girds itself for recession in the wake of the worst financial crisis for 80 years, there is a lot of talk among spa professionals about how this is going to affect our industry. Escapism and pampering fill a need in times of crisis. The Chinese region of Macau has a booming casino business, but what opportunities does it hold for spas?